As Somebody who Can’t Sleep, I Wondered, are Sleeping Pills Bad for You? For me and the millions of people who suffer from insomnia, anything to help us get to sleep is a godsend. But do the benefits of taking sleeping pills outweigh the side effects? Are sleeping pills bad for you? Not being able to sleep really stinks. Trust me, I know that personally I’ve dealt with insomnia on and off for the just about ten years. I understand and know the frustration of laying in bed night after night wide awake. I know how hard it is to function the next day on a couple hours’ sleep. I’m tired. I’m cranky. And everyone usually doesn’t mind telling me that I’m cranky. It’s because of this I tried to find something — ANYTHING — to help me fall asleep and stay asleep. Over the past ten years, I’ve tried just about everything the experts have said you need to do to get to sleep. 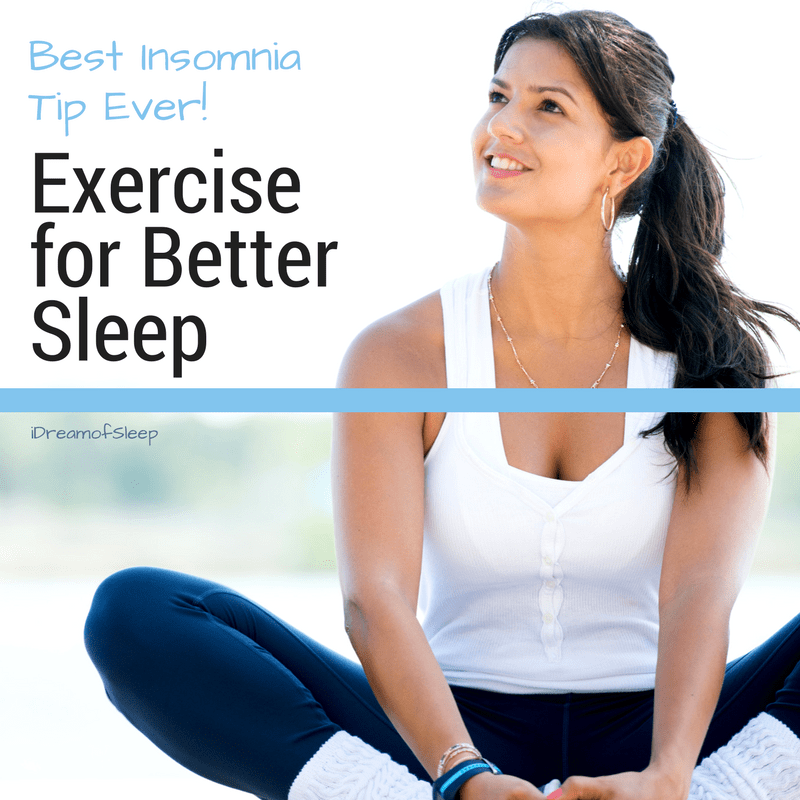 I’ve tried to exercise more because I read that it helps to sleep better at night. Didn’t work. I’ve cut out caffeine just about completely. (can’t let go of chocloate!) Nope, didn’t work. I’ve tried stuff my friends and family suggested and I still couldn’t sleep. Out of desperation I did try over-the-counter sleeping pills. 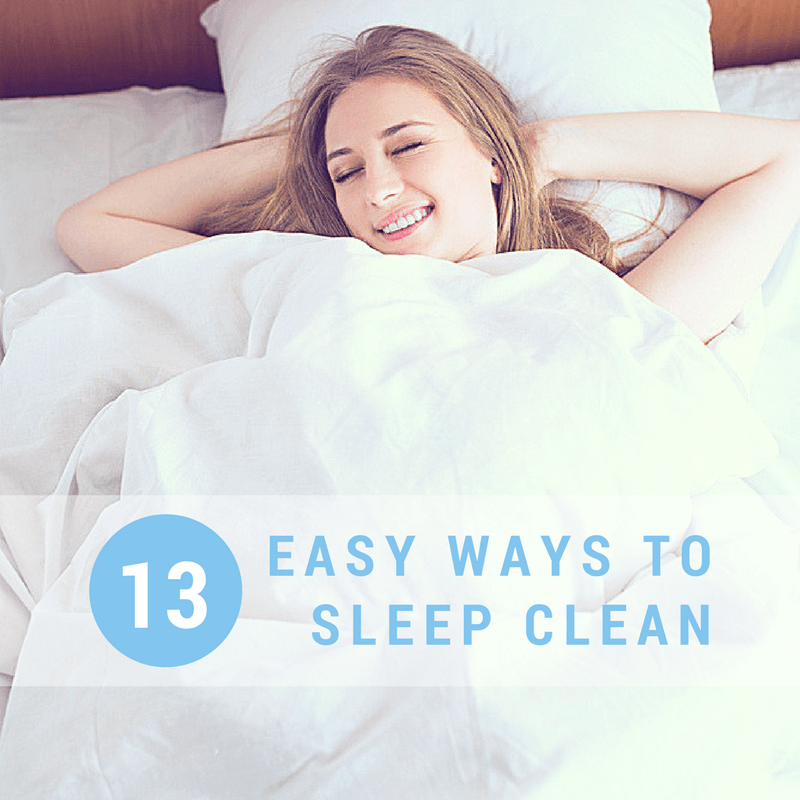 For most people they do help them finally get some sleep. But I’ve read that over time the sleeping pills no longer work, and some of them have some unwanted side effects, such as grogginess the next day. I like to take a more natural approach to treating what ails me. I don’t like to put any more chemicals in my system than I have to. 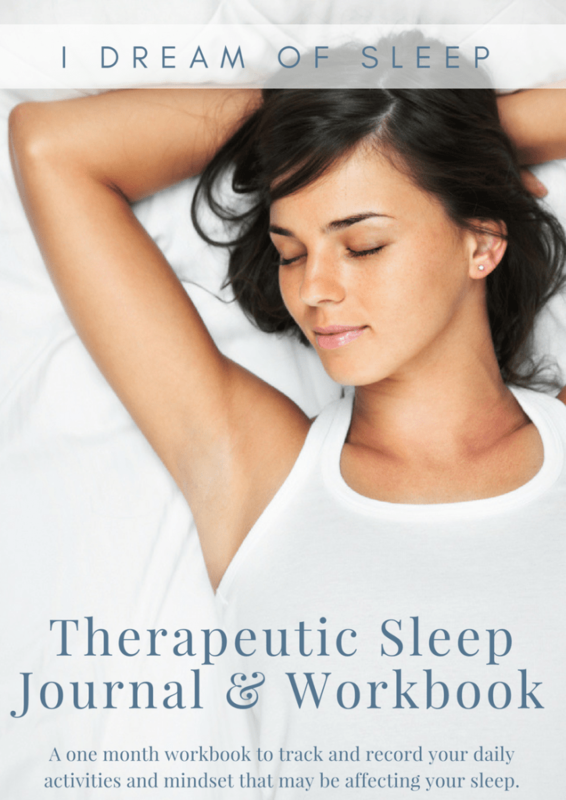 Have you ever stopped to wonder what really are in the sleep medications you’re taking? I wanted to find out what I was putting in my body when I took over-the-counter sleep aids, and I didn’t like what I found. 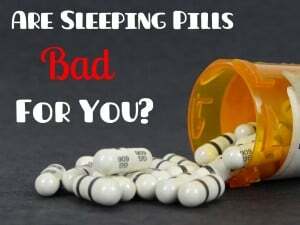 1 As Somebody who Can’t Sleep, I Wondered, are Sleeping Pills Bad for You? 2 What’s in Sleeping Pills? 4 What about Prescription Sleeping Pills? 6 What Natural Sleep Remedies can I Use Instead? 7 So are Sleeping Pills Bad for You? So what’s in sleeping pills? I wanted to know, so I looked on the back of some of the OTC sleep products I had in my medicine cabinet. The main ingredient in most over-the-counter sleeping aids is diphenhydramine HCl. Products such as Benadryl, Unisom, ZzzQuil, Nytol, Tylenol PM, Advil PM, and Sominex contain diphenhydramine. Diphenhydramine is what is known as a first-generation antihistamine. Over-the-counter allergy medicines also contain diphenhydramine, but at lower doses. Diphenhydramine is used in sleep aids at higher doses because it has a powerful hypnotic and sedative effect. Some Unisom products also contain the ingredient doxylamine. Doxylamine is similar to diphenhydramine in that it is an antihistamine. 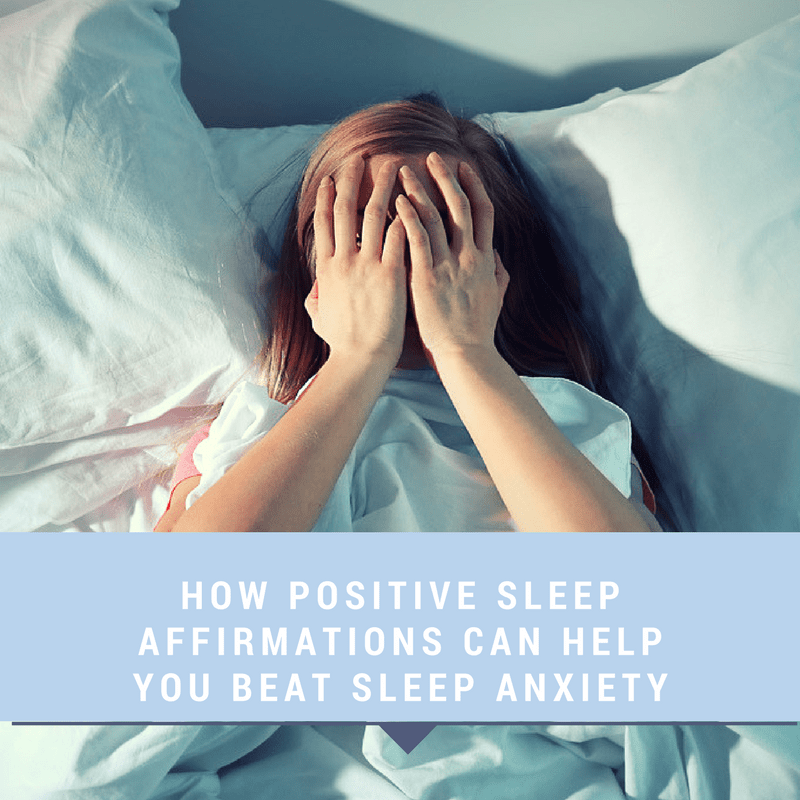 It is one of the most effective over-the-counter sleep aids on the market, and is even more effective than some prescription sleep medications. However, doxylamine and diphenhydramine can have many undesirable side effects, and can even be dangerous. 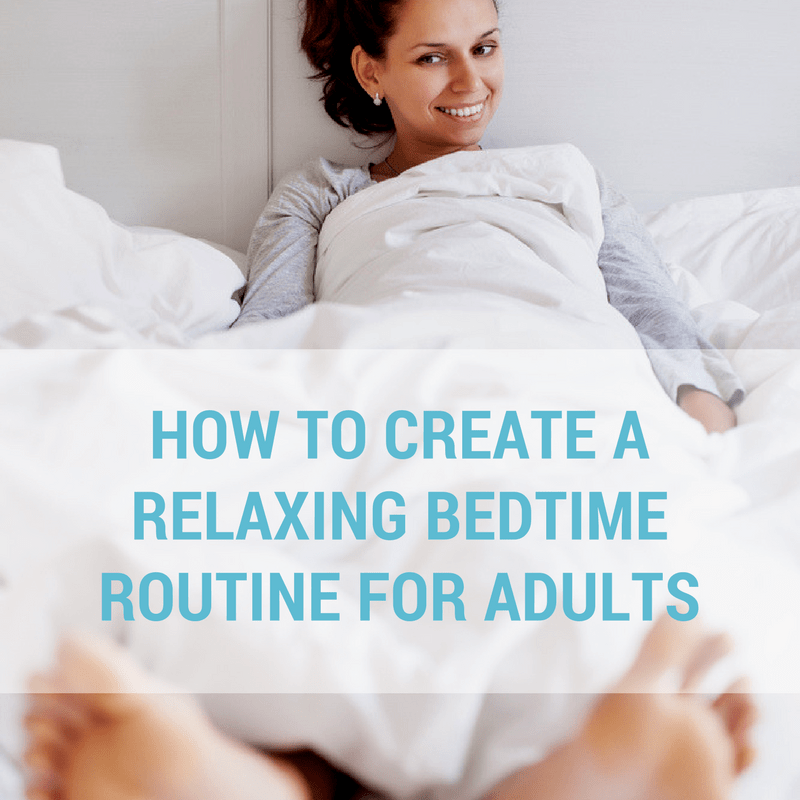 Great care needs to be exercised when considering what sleep aid to take and how it can interact with other things you put in your body. Grapefruit increases the amount of drug that is absorbed by your body. Toxicity can be reached much quicker by consuming grapefruit and sleeping pills. Consuming any type of drug while taking sleeping pills significantly increases your chances of experiencing side effects. Alcohol should ALWAYS be avoided while taking sleeping pills. Through personal experience and watching the news, I know that just because something can be bought in a store, doesn’t mean it can be used safely. Understanding the side effects of sleeping pills and the dangers that can come from taking too many or taking them with other things made me look for more natural ways to get to sleep. Doxylamine is a powerful sedative, but it has a whole list of side effects. Possible side effects include: dry mouth, lack of muscle coordination, retaining urine, memory problems, drowsiness, inability to concentrate, hallucinations, and psychosis. You should also not take doxylamine with any sort of allergy medicine because it can increase the severity of the side effects. Diphenhydramine HCl also has its share of side effects. Just to name a few of the many side effects of diphenhydramine, such as increased heart rate, pupil dilation, retaining urine, constipation, flushed skin, blurred vision, decreased body temperature, irregular breathing, drowsiness, and dizziness. Overdose on these ingredients and you get a whole other set of potential side effects. The amount considered toxic is anything over 50 mg. Overdose symptoms can include: insomnia, night terrors, seizures, coma, heart attack, and death. Also, taking these pills every night is not truly helpful for those of us with insomnia. After as little as three days, our bodies can start to develop a tolerance to these ingredients. It’s very frustrating to finally find a product that helps you sleep, just to find it doesn’t work after such a short period of time. I never could understand how people could “accidentally” overdose on sleeping pills. I mean, seriously, do you not read the label? But the tolerance level is how overdoses can occur. For instance, when a person finds that the recommended dosage isn’t getting them to sleep like it used to, they take another pill. And another pill. This is how accidental overdoses can occur. Another interesting, but important fact I found out that one of the side effects of overdose is insomnia. You would never know you were overdosing yourself until it was too late! What about Prescription Sleeping Pills? So what about what’s prescribed, are they still bad for you? Frankly, prescription sleeping pills scare the heck out of me. My doctor wrote me a prescription once for some sleeping pills. I went home and looked it up online, saw the possible side effects and said no way. 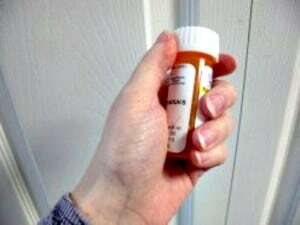 Prescription sleeping pills are in a completely different class than over-the-counter sleeping pills. They are what are termed as sedative hypnotics. Prescription sleeping pills basically fall into two different catagories: benzodiazapine and barbituates. Both of these can be harmful if taken improperly. 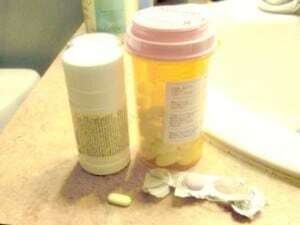 Drugs which containe benzodiazapine include Xanax, Valium, and Ativan. Benzodiazapine is very addictive. It is considered safe when taken on a short term basis. However, long term usage can cause dependance and can even cause withdrawal symptoms when finally stopped. Side effects of benzodiazapine include: decreased concentration and alertness, decreased libido, difficulty breathing, and memory loss. Overdose of benzodiazapine rarely causes major problems. It is when benzodiazapine is taken with other things that severe injury or death may occur. When taking benzodiazapine, it is important that you do not drink alcohol, antidepressants, or any form of opiates. Overdose symptoms of benzodiazapine when taken with one of these products include: slurred speech, difficulty breathing, coma, and cardiac arrest. Drugs which are considered barbituates are brand names such as Lunesta, Ambian, and Sonata. Barbiturates are what are known as central nervous system depressants. They are used for mild sedation, anesthesia, and nausea. Like benzodiazpine, they are highly addictive, not only physically, but psychologically. Continued use causes barbiturates to lose its effectiveness. 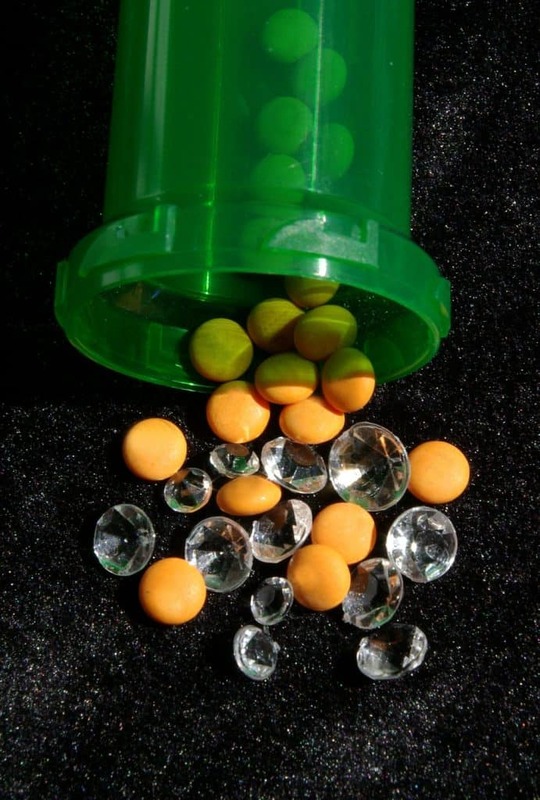 Barbiturates should not be used by the elderly because as we grow older, our bodies lose the ability to metabolize barbiturates, which causes harmful side effects due to toxicity. Overdose symptoms include: difficulty thinking, slowness of speech, shallow breathing, staggering, coma and death. Anything over 1 g is considered dangerous. Having insomnia is a major health concern. If you don’t sleep, you can’t function. 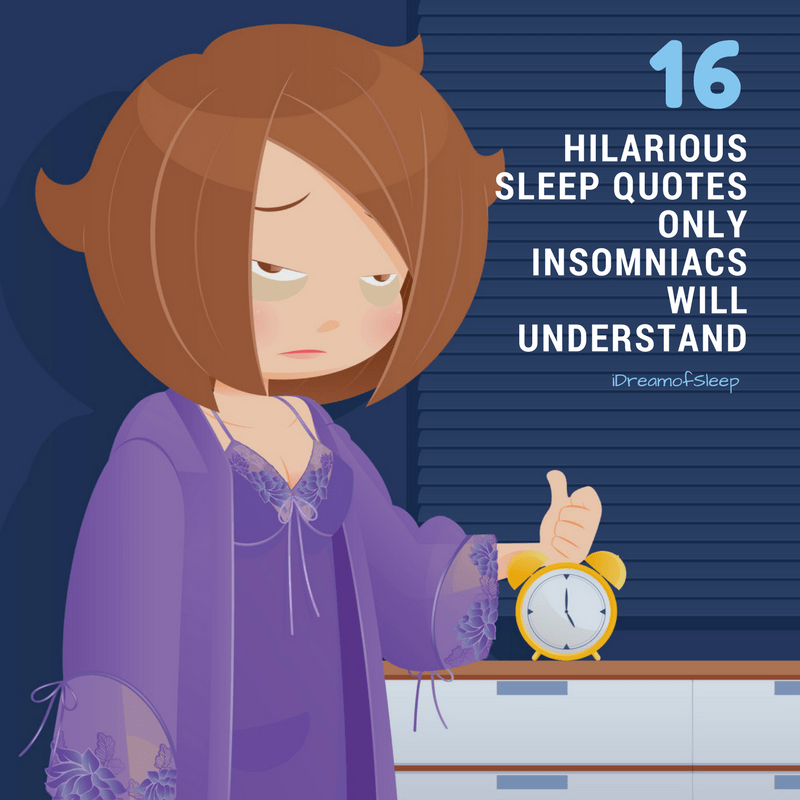 Sufferers from insomnia will try anything to help them sleep. Over-the-counter and prescription sleep aids will help for a time, but all of them lose their effectiveness. This is because our bodies become tolerant to these drugs. More is needed to produce the same results as before. Even if your body does not become tolerant, there are some scary side effects to these drugs. Before taking OTC or prescription medication to help me sleep, I decided that I’d try all natural sleep remedies to help me get to sleep. Through personal experience, I found I could get to sleep without these drugs. All it took was a little research and a willingness to consider natural alternatives. I still have periods of trouble sleeping, but I’ve learned how to treat my insomnia naturally. What Natural Sleep Remedies can I Use Instead? I’ve tried a lot of different sleep remedies through the years, and shared with you my list of natural sleep aids that helped me. I’ve finally gotten to a point in my life that I only have periodic episodes of insomnia rather than chronic insomnia. I truly believe this is because I’ve used natural products and remedies and they’ve helped to regulate my sleep pattern. First if you’re still consuming caffeine, stop. Even if you drink a cup of coffee in the morning. You could be more sensitive to caffeine than you know. I can’t even have caffeinated tea in the mornings because I know it will make me have trouble getting to sleep that night. Also, don’t use your phone, tablet, laptop or basically anything with a screen two hours before you go to bed. The light that comes off of the screens make your sleep cycle go wonky. If you do use them, turn the light settings as low as you can handle it. I didn’t know until a few years ago that insomnia can be a symptom of magnesium deficiency. I think this was a major contributing factor of my not sleeping. Once I started taking 4oo-500mg of magnesium glycinate every night before bed, I was able to fall asleep and sleep through the night with no problem. Whether it’s herbal teas for sleep, homeopathic remedies, or all natural sleeping pills, there are lots of natural sleep aid products to choose from to help you get some ZZZ’s. So are Sleeping Pills Bad for You? Ultimately, only you can make that decision for yourself. Read the back of packages for the ingredients and possible side effects. Ask your pharmacist about any side effects of any OTC sleep aids. For prescription sleeping pills, be sure to ask your doctor about ingredients and side effects. If you choose to go the natural route, do your research. Don’t assume that just because it’s natural herbs, supplements, or extracts it’s safe. Fully search out everything about a product before you put it in your body. 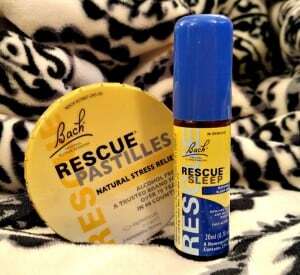 If you’re having trouble sleeping, there are natural alternatives to OTC and prescription sleeping pills. Remember, be sure to check with your doctor before taking anything, even if it’s natural. Herbs and other natural products could possibly interact with any medicines you may be taking. *I’m not a doctor, so this is for information and discussion purposes only. These statements have not been approved by the FDA. These products are not intended to diagnose, treat, cure or prevent any disease. Like you, I’ve tried about everything there is. The natural remedies work if I’m not in pain or being disturbed by a repetitive noise. I’m trying something new in the way of white noise tonight. It just came today. I wore up my rain CD. Yes, it’s so true. Pain adds a whole new dimension to not sleeping. Not good!